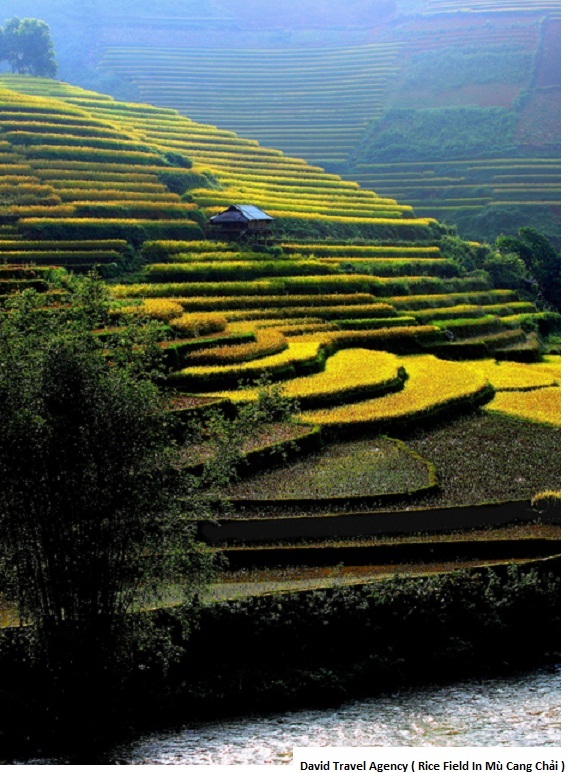 If you live for the adventure and want to see places of the Northern Vietnam’s countryside rarely seen by others, this is a trip cut precisely for you. This trip will take you far beyond the standard tourist attractions and introduce you to places with unrivalled wild beauty.The Central North is known as the area of high mountains and panoramic mountain views. many weekly markets it offers a real chance to explore the culture and places all around this eye-catching area. 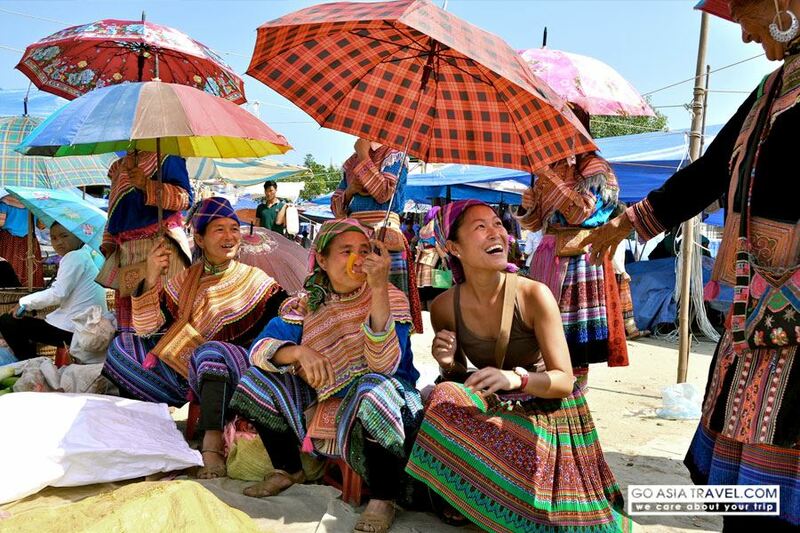 It has stunning splendid natural scenery and cultural sights attraction, there’s many colorfully dressed ethnic people and their different traditions. At about 9pm the evening before, we catch the night train 4 bed sleeper cabin to Lao Cai. We arrive at roughly 6am. After breakfast, We begin our trip in the centre of Lao Cai, which is next to the international border with China, where important trading in North happens – Have a short break at border, before we head to Bac Ha town – Bac Ha is well-know for the century-old colorful market, of real mountainous people including the Dzao and the Flower H’Mong. The market only opens on Sunday morning- . We then continue up north to Ximan via a small trail that has, a deep impressive scenery, while riding through forest, take a short break at Laochai village, on top of the mountain to have a look at the overview of Chay river which is high up and hidden in the clouds. 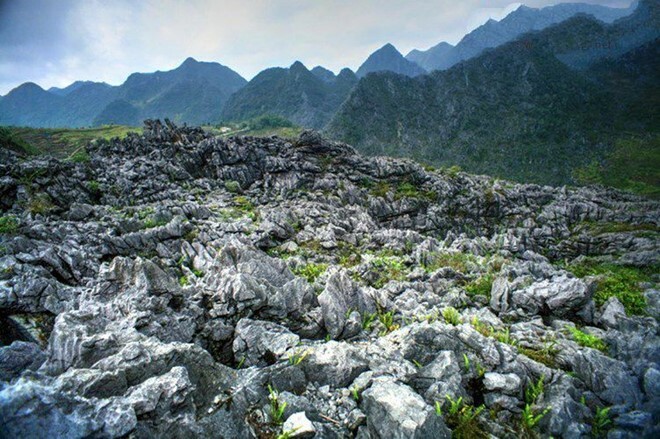 There are particularly interesting tracks in this area and well none known is one of the most beautiful natural landscapes in Vietnam. Breakfast will be served at a local restaurant near by our hotel. We will visit a local market in the morning, where we have the chance, to meet minorities groups such as the Dzao, Nung, Flower H’mong…and also not forgetting to take some memorable pictures and buy some souvenirs. The roads go through some mountain passes but there are lots of tortuous roads, which gives a great opportunity, to test your riding skills. After lunch in Tan Quang. the last 50 km to Ha Giang becomes of ease on road No 2. 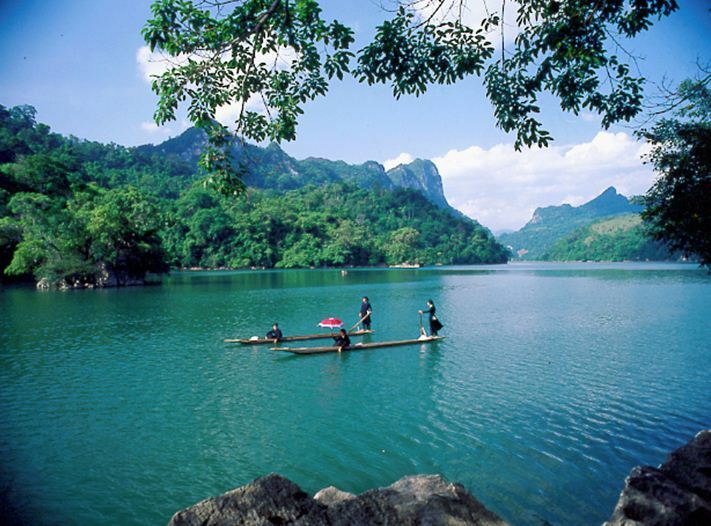 If the time permits, we can visit Thanh Ha to relax and enjoy the hot springs. After obtaining a visit permit at immigration office in Ha Giang. 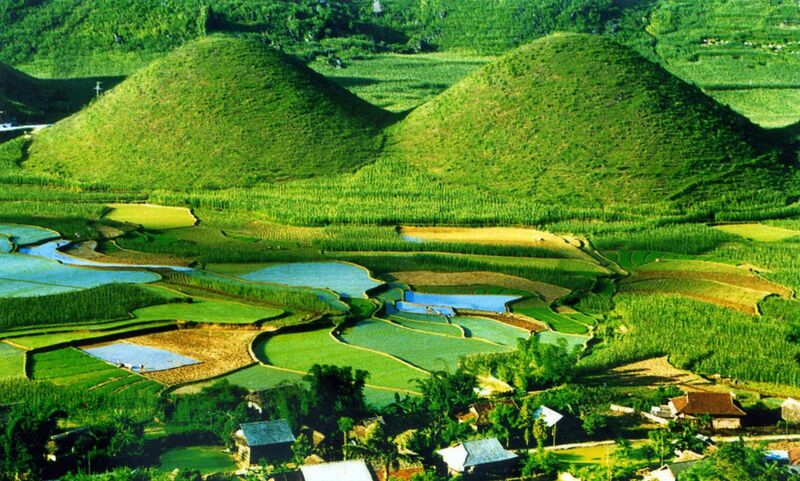 We then continue our trip exploring through the area of Quang Ba, Yen Minh, Dong Van which is famous for pictures opportunities of the natural, impressive and magnificent landscape. The local people living here dedicated to working long hard hours but overcome all difficulties, on rocky farm land in a harsh environment. They are very friendly out going people and live a happy life without the modern day necessities. 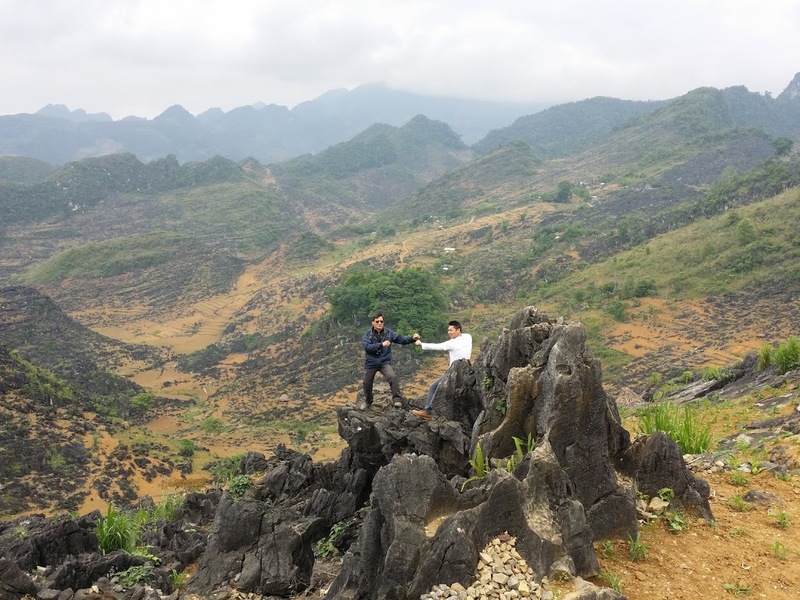 We will have a short break at an information coffee shop where we can climb up a set of stairs to take in a spectacular view point of Quang Ba. After lunch at Yen Minh town, we will visit Pho Bang, which was built many centuries ago and features multi-storey houses made of clay bricks and tiled roofs. In the area visit the infamous Vuong Palace- H’mong family of high rank during French colonial rule, Vuong Chi Sinh, who was purported to be the H’mong King in Vietnam. This palace attracts keen interest from architecturally minded visitors due to its mixed style of European and Chinese architecture. Then we arrive in Dong Van. Climb over the Ma Pi Leng Pass, from which we can see and enjoy beautiful scenery overlooking the Nho Que River before going down to Meo Vac. 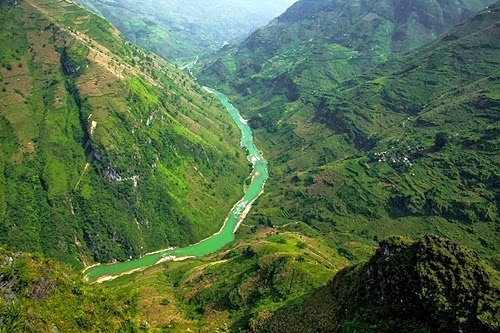 We cross the wild regions of the mythical province of Ha Giang. 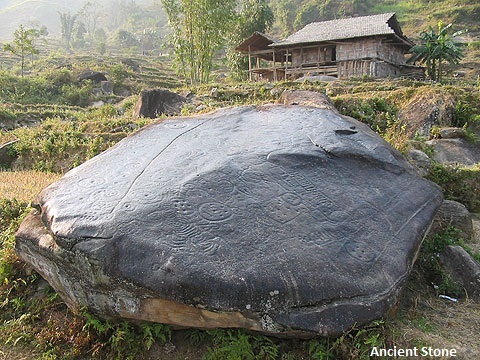 Stop for the night at Bao Lac, the ethnic crossroad of Northeast Vietnam. Many other ethnic groups on the two sides of the border meet at the market every Sunday. Few passes from where you can dominate the area. The road is easy but many curves. We can stop a lot. All together, stop for drinks and food it should be an 8-hour journey. We spend the night in the traditional stilt house of Tay minority people. Other personal needs and some cash for drinks or souvenirs. What do you think of Motorbike Adventure North Central / 6 Days?